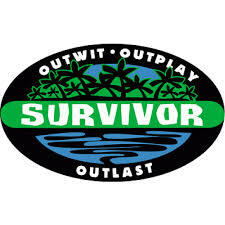 When we originally wrote this “Survivor” article, we did so after “Survivor: One World” ended as a way to give some comprehensive thoughts on both all of the show’s seasons, but some of the popular people who have managed to walk away with the title in the end. 37. Amber (All-Stars): To this day, we’re still trying to figure out how in the world a jury was so bitter that they wanted to award Amber the money over Boston Rob — even though he played such a better game that it was obvious to just about everyone in the known universe. Sure, some fault is on Rob for poor jury management, but given her direct association with him, it’s not like she was a viable alternative and the vote seemed purely out of spite. 36. Natalie (Samoa): Natalie did help get rid of Erik — but that’s really all she contributed and the result of her win was more the result of what someone else in Russell did wrong than what she did right. Wait … why did these people win? 35. Bob (Gabon): We like Bob, but we might as well be honest when we say that he only made it into the final three thanks to Sugar gift-wrapping it to him over Matty (who probably should have won). Hats off to Bob for winning immunity challenges, and for being a likable person — even if he was clueless at times in the game. 34. Jud a.k.a. “Fabio” (Nicaragua): You can give Fabio credit for playing the game with a unique strategy — acting so wacky no one would take him seriously — and he also did win three straight immunity challenges to make it to the end. At the same time, does any of this make him a great winner? Not necessarily; his win was mostly the product of a jury that was just bitter at Sash, and Chase did a bad job of selling himself. 33. Jenna (The Amazon): Jenna’s ranking has changed a lot over the years, because we did think she was great when she was strategic and winning challenges. We just can’t justify putting someone who debated quitting at one point, and who became very difficult to watch when things weren’t going her way, all that high. 32. Tina (Australia): You can really make the same argument with Tina than you did with Bob. If Colby had actually been thinking for himself rather than being the good guy, she wouldn’t have been there. At least she had a stronger strategic understanding. 31. Vecepia (Marquesas): Sometimes, the fact that you are barely memorable keeps you from being ranked higher. Out of the final five for this season, Sean and Kathy largely dominated the game more than Veceptia. 30. Michele (Kaoh Rong): While there are some people out there proclaiming that Aubry should have won, what Michele deserves credit for is making sure she built relationships with everyone in the game, including people like Scot and Jason who she wasn’t voting with. Their votes turned the tide, and it’s different than a Natalie / Russell situation because Aubry was likable. Michele earned her votes over the more strategic player. 29. Sandra (Heroes vs. Villains): Sandra’s second win was not as impressive as the first, mostly because Parvati really should have won this season. However, this does not mean that she was a terrible player. She made some moves, and she understood that Russell was dead weight. 28. Ben (Heroes vs. Healers vs. Hustlers): As a person and a story, Ben was great for the game and he did do some really impressive things — including finding multiple immunity idols and pulling off a great double-agent act. Yet, you can argue that Chrissy was equally deserving as votes for her gameplay and that he was the beneficiary of a firemaking twist that kept him from being the sure-thing boot at the final four. 27. Aras (Panama): It was one of the best seasons ever when it came to drama, so it’s a shame that the ending was so uneventful. Aras’ biggest move in the game the first time was basically laying low, and allowing everyone else to implode around him. He then got himself in the final two with someone in Danielle who he knew he would beat. 26. Denise (Philippines): Denise’s game was smart, understated, and pretty social. The one major flaw in it is somewhat circumstantial, and should be noted: Had Malcolm said the right thing to her at the final four, he would have made it there and probably one. Therefore, a certain part of her win is attributed to someone else making a silly decision. 25. Ethan (Africa): Ethan was the guy you wanted to root for to win this season — and if he played again, he’d fill the same role. The problem is just that Lex did the majority of the heavy lifting while he was on. 24. Cochran (Caramoan: Fans vs. Favorites): We want to rank Cochran higher, based on the fact that we like him. However, he and Sophie basically played a very similar game: Getting with a large alliance early, benefiting from having the numbers, and never really being a target until the final few weeks. The one reason she has a slight edge here is that she faced a tougher jury, and also had to beat Ozzy to secure herself a win. Cochran did play a great game, but was hardly the underdog he was perceived as. 23. Sophie (South Pacific): Some people out there think that Sophie is one of the worst winners ever, and she’s really not — while there is a good argument you could make about Coach deserving to win instead, he really shot himself in the foot by not owning up to all of his strategy. Meanwhile, Sophie was honest — and without her immunity wins, Ozzy would have won the season. 22. Earl (Fiji): While Earl’s win would not be possible without Yau-Man, he was the first unanimous winner ever for a reason. He was strategic, likable, and while not flashy, he constantly was aware of what he was doing. 21. Sandra (Pearl Islands): Sandra’s first win was impressive mostly in that she managed to make it to the end while never really being too targeted, and she proved to be one of the game’s first masters of numbers. 20. Mike (Worlds Apart): Mike’s such an interesting winner in that he was basically one of those players who was almost too good socially and physically for their own good, but he still somehow won his way to the end and was virtually safe from the final nine on. Where you place him probably is based on how much stock you put into challenge wins, since if he had lost immunity / not had an idol, most signs point to him being voted out. 19. Adam (Millennials vs. Gen X): Amazingly self-aware, he was able to clue in to the jury’s perception of targets and maneuver himself accordingly. He found idols, was extremely well-liked, and he fought hard at all the right moments. While not a flawless win, the unanimous vote speaks to his social game. 18. Nick (David vs. Goliath): Nick found a way to play a really smart game that was reliant on making good social bonds, having bigger targets in front of him, and also winning immunities at the right time. He didn’t always have strategic control, but he knew what to do at the right time. 17. JT (Tocantins): Did JT really deserve to win this season? While he was a major player physically, he also was a bit lucky in that nobody on the jury realized just how much of a force Stephen was throughout the season. JT was just able to mask that by being so darn likable. 16. Chris (Vanuatu): The most underrated male winner ever. He nearly left the game immediately after getting sick, but then somehow managed to go deep and trick a dominate female alliance into keeping him around with some well-placed lies. 15. Wendell (Ghost Island): This was a fantastic game from Wendell, as he found a way to work alongside Domenick, a strategically dominant player, while also forming better social connections with the people around him. His likability and personality went a long way in front of the jury. 14. Yul (Cook Islands): Clearly the smartest person ever, and in some ways a similar player to Kim from “One World.” He controlled an alliance effectively, and often spearheaded decisions while making others feel involved. Did he have to rely on his immunity idol a bit more than she did? Yes, and Ozzy’s immunity wins also helped him out a bit more when it came to keeping his alliance intact. 13. Natalie (San Juan del Sur): Despite having a quiet pre-merge game, she showed with the Drew Christy vote that she was a smart, sharp player. She realized well that if you could use a minority alliance or a small group to still make big moves. She used this later to ensure Baylor was voted out at final five. While she was not dominant from start to finish, one of her crowning achievements should be managing to convince Jaclyn and Missy to take her to final three, even if they had a better chance against Keith. 12. 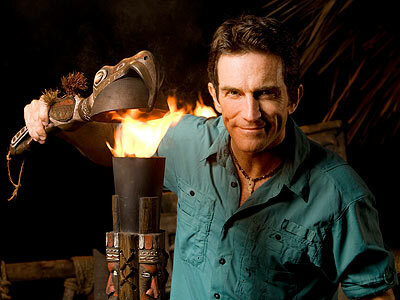 Brian (Thailand): Definitely not the most likable guy, but in many ways Brian’s game in Thailand is similar to how Rob has played Redemption Island — he made a number of deals that angered people, but he put himself in a position to go the end with a man who was even more despised. 11. Danni (Guatemala): A tough player who never really has received her proper due. She was wise enough to call out Gary, and was unafraid to take on Stephenie in a final tribal council when few people were unwilling to do so. 10. Tyson (Blood vs. Water): To us, the most impressive thing about Tyson’s victory is that for the entire season, everyone knew that they had to get him out. Yet, for whatever reason, nobody really could figure out the way to do so. While he was helped a couple of times due to luck (not drawing the rock, having his partner voted out early), he played a brilliant post-merge game where he set himself up to be alongside two people who would not beat him. 9. Todd (China): It’s still hard to argue against Todd as a great player after all this time, since he managed to control the game mentally, help orchestrate some of the best blindsides ever, and even convince people to keep him near the end when they really had no business doing so. He also gave the best jury performance in the history of the show, finding the perfect balance between groveling and demonstrating that this was a game, and that the moves he made were strategic rather than personal. 8. Jeremy (Cambodia: Second Chance): While Jeremy was not always on the right side of the vote, what we find so impressive is how he, despite being such an obvious threat, had such a strong social game he convinced no one to write down his name until the final six. He made the moves he had to when he had to, and had allies who had grown so close to him, they were willing to stay true even against their better judgment. 7. Tom (Palau): The most dominant winner ever from a physical standpoint. He was lucky to have people around him not too interested in backstabbing him, but even with that what he still managed to do in decimating Ulong (and then his own Koror tribe) was impressive. 6. Parvati (Micronesia): Nearly winning “Heroes vs. Villains” helps to make this win even more impressive. She may have had some series help from Cirie in making it as far as she did, but it’s ultimately still hard to argue against someone who may be one of the best manipulators in the history of the game. 5. Tony (Cagayan): Just when it comes to pure entertainment alone, Tony is one of our favorite winners; but, he also happened to play a great game. We said during the season that if he managed to pull off his aggressive style and get to the end he’d be considered one of the best ever, and here we are. He created great lies with immunity idols, spied like nobody’s business, and while we know that there are some who will say he lucked out with Woo taking him to the end, he convinced him to make the move. The brilliance of that should not be underestimated. 4. Sarah (Game Changers): She basically took what Tony did and improved it, flipping alliances and getting everyone on her side. Her move to get Sierra’s legacy advantage was incredible in its execution, as was her ability to constantly keep everyone on her side for the majority of her game. 3. Richard (Borneo): The standard from which all winners are judged. Richard is the original, and many will insist that he is the best. His game wouldn’t translate to the modern day, but he was dominant in the first season. 2. Boston Rob (Redemption Island): For the first time really since creating this list years ago, we are changing the top two spots. We’ve had Rob at #1 for a long time because of the dominance that he displayed on this season, but the reality here is that Kim was seemingly able to do something very similar on her very first time out. Rob is a magnificent player and an icon to the game, but him being a fourth-time player against newbies in this season docks him slightly. 1. Kim (One World): How can you not like Kim’s win? While she may not be the biggest personality ever on “Survivor,” it was entertaining to watch her completely outwit and decimate the entire men’s tribe through some sly trickery and alliance-making. Not only could she tell a lie effectively, she could do so without making anyone so furious at her that they wouldn’t vote for her in the end. She also was a huge challenge threat, and had an immunity idol that she never even needed. The best of the best, and the player everyone should study before going out there. 37. Thailand: There’s nothing good to say here. Nothing. If we don’t talk about it, maybe we will forget it ever existed. 36. Fiji: Redeemed slightly by the fact that Yau-Man and Earl were both likable guys, but then hurt yet again by a ridiculous twist, a largely bland cast, and Dreamz doing one of the most heartless things ever on the show. 35. Redemption Island: Maybe in time, this season will end up feeling better — but for now, it’s marred thanks to a boring post-merge dynamic where the Ometepe tribe were living, breathing zombies. Yes, Rob is the best winner ever — but he was almost too good. 34. One World: The best part of the season was the women’s alliance dominating. The worst? Colton’s offensive comments, the guys making horrible decisions, and a series of weeks from Michael’s exit up to the finale where it was pretty obvious that no one was going to challenge Kim (who was a pretty predictable winner from about the third week on). 33. South Pacific: As much fun as Cochran was to watch, the five or so weeks after the merge were akin to an afternoon nap that you forget to set the alarm for, and then when you wake up you realize that you slept away half the day. 32. Caramoan: Not as good of a season as Jeff Probst hyped it up. A great four or five episodes after the merge hurt by a pretty terrible pre-merge game, too much emphasis on characters over strategy, and a terrible reunion show that deflated the fun that was Cochran’s win. 31. Guatemala: All in all, this one just didn’t bring too much new to the table when it comes to gameplay. Were there great characters? Absolutely, from Judd to Amy to even Gary to an extent. There’s just nothing that happens strategically that’s memorable. 30. San Juan del Sur: A more surprising season than any of the others listed here, but there were some major bumps in the road. The pregame was a huge letdown, and so was seeing a tribe swap give some players virtually no chance. Like One World, though, we did at least have a great winner. 29. Samoa: There were some great moves, but this season was too much Russell and not enough of the actual setting. This is where “Survivor” started to really move away from the survival aspect altogether and into some predictable plotting. It’s not so much that Natalie winning was a “bummer” (it was understandable), but the reunion was just so nasty and uncomfortable. 28. All-Stars: The feeling of new faces got old thanks to hum-drum performances by memorable characters (Richard and Colby), and there was also a terrible jury vote in the end. 26. Marquesas: When you can barely remember the contestants, it’s not a good sign. It wasn’t a terrible season, but it was not what this show needed with just its fourth installment. 25. Worlds Apart: A season that was ripe on strategic thinking, and also a challenge warrior in Mike who took down a powerful alliance. We know that many of the players are somewhat bummed out that so much attention was given to a few specific moments (Will vs. Shirin, Dan’s confessionals), but the reality here is that they still cast somewhat of a dark light on what was otherwise a pretty solid season. 24. Nicaragua: It was definitely unpredictable, and sometimes that’s all you can ask for. A couple of boring weeks were offset by great TV moments (NaOnkia and Purple Kelly quitting, Fabio urinating in the middle of a challenge), and at least the editing was pretty even. 23. Vanuatu: Take away Rory, Sarge, Eliza, and Twila, and this would have been a yawner of a season. The underdog drama at the end helped save it. 22. Kaoh Rong: We do tend to view a season as a whole, and with that we cannot dismiss a drawn-out finale and really awful reunion show. While the pre-merge had some fun moments and the Nick / Debbie blindsides were big, we also had to dud episodes brought on by Neal and Joe’s medical evacuations. It started with some flourishes, but it sunk at the end. 21. Game Changers: New-age Survivor at its best and worst. While this was a season full of some great strategic moments and strategic players, it also felt like the game was more meta than ever before and that the location was more of an afterthought. 20. Heroes vs. Healers vs. Hustlers: Another reminder that a really horrible pre-merge game can be saved by an excellent pre-merge and an engaging if controversial winner. There were some casting missteps and a weird final four twist that the players couldn’t prepare for, but from a story perspective having Ben standing at the end made from a satisfying finish. 19. Cook Islands: One of the most beautiful locations ever and some great characters, but there was really too much Ozzy and the dividing-tribes-by-race twist still has a bad taste to it. 18. Africa: The beautiful setting made up for what was ultimately a predictable game, even if it did bring us a score of memorable characters in Ethan, Lex, and Big Tom. 17. Ghost Island: While the twist provided a little bit of worthwhile entertainment, it was really the presence of so many interesting players from start to finish that made this season memorable and very much entertaining. 16. Heroes vs. Villains: On the surface, there is a lot to like here. There were great blindsides (JT and Candice), lots of idol drama, and even James completely blowing a gasket. The problem was that the heroes tribe was terrible and we were really in the midst of Russell fatigue when it aired. 15. David vs. Goliath: A season that brought a great cast and a lot of fun to the table. While the finale didn’t provide much excitement and some of the less-interesting players made it far, it doesn’t take away from some exceptional blindsides, especially right around the merge. 14. Pearl Islands: Why, outcast tribe, why? The original “redemption” was terribly unfair to the castaways, and it damaged a pretty awesome season with plenty of fights, Rupert channeling his inner pirate, and Johnny Fairplay lying about his grandma. 13. Panama: Exile Island: Quite possibly the greatest tribe ever here with the doubled-up Casaya. Entertainment galore. You could bring back most of this cast again and still have a great season. 12, Australia: Memorable largely as a piece of nostalgia, this is a vintage example of the adventure the show has lost in favor of tiny islands and multiple food challenges. Some of the strategy was a bit boring, but this was a season that felt more like actual survival than any other. 11. Tocantins: If you hate Coach, you hate this season. Thankfully, we find Coach entertaining. Plus, there were so many great blindsides here to talk about (including Brendan, Debbie, and the epic exit of Tyson). 10. Blood vs. Water: Speaking on Tyson, his victory led a season that we ended up liking much more than we felt like we would. While the final five onward was very predictable, the rest of the season was near-constant excitement, with interesting twists and a whole new element to the game. 9. Gabon: Some people hate it, but the craziness of the season made it worth watching as a glorious trainwreck. Thanks to people like Sugar and Kenny, you never really quite knew what was going to happen week to week — and even though there were only a few top-notch characters, the effectiveness of the overall cast made up for it. 8. Philippines: A very great season all around. A wonderful job in casting coupled with even editing, the interesting players making it far, and proof that you can have returning players and even celebrities in a way that is not necessarily obnoxious on any level. 7. Millennials vs. Gen X: For anyone who loves gameplay and watching people play who love the show, this was a delight. A super-likable cast, a pretty even edit, and a number of great blindsides and character moments. It started slow the first few weeks, but after the tribe swap almost every episode was a winner the rest of the way. 6. China: A largely fun cast, some great challenges, plus James getting booted with two idols. What’s not to like? This was a season that really managed to balance out great strategy with the location and its culture. 5. Palau: So many touching moments here, from Stephenie’s one-person tribe to Ian’s departure to Tom’s win. There was really never a dull moment this season, and it remains one of the most entertaining to watch back again. 4. Cambodia: Second Chance: Maybe there were only a few predictable votes the entire season? An insane level of play and incredible, entertaining characters help to overshadow its few weaknesses, such as some under-edited players near the end. 3. 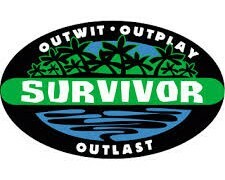 Micronesia: One blindside after another made for the most entertaining strategy session the show has seen yet. Cirie and Parvati literally controlled this game — and the fact that some of the fans (see Erik and Jason) did so many dumb things only ends up helping from the standpoint of entertainment. 2. Cagayan – We gave ourselves plenty of time to ensure that we were not losing it in calling this the second-best season ever. But when almost every episode was as good as this season, there’s no other way to place it. There was a great winner sure, but there also other wonderful characters, countless blindsides, and there was not a single part of the game where we knew for sure what was going to happen. 1. Borneo: Nothing will ever top the original’s sense of adventure. It’s hard to even criticize something so new, so exciting, and such a landmark part of TV history.